It has always been a dream of mine to be a destination artist, getting the opportunity to travel to stunning places, to beautify brides and be a part of their dream day. After months of umming and arrring, I took the plunge and decided to go to the magical island of Santorini for 3 weeks for 2 reasons: 1. To see if I would enjoy working there, instead of just soaking up the sun and indulging in Greek cuisine and 2. to go back and celebrate our 1 year wedding anniversary with my darling husband. And let me tell you, I’m so happy I decided to go! 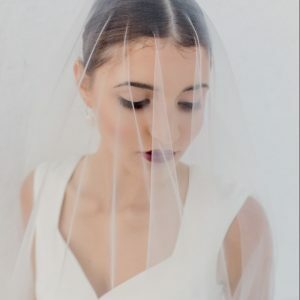 With the help of a dear friend, Carla Rinaldi, I did my own hair and makeup on the day and honestly, it wasn’t until then that I realised how important my job is. 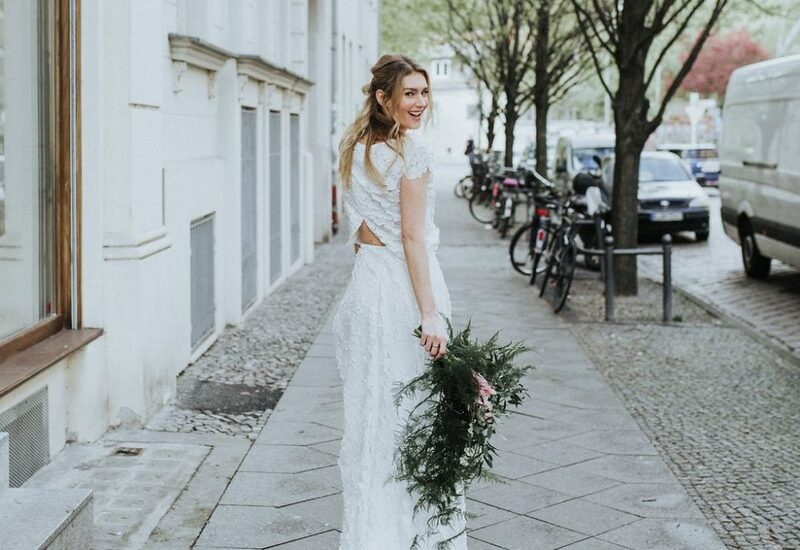 It’s more than just being an artist and making the bride look stunning, it’s about the calming energy you can bring and how you can help the bride relax during this time, before the ceremony begins. That hour or two of stillness, where you don’t have to do anything but sit there and be pampered, really is invaluable. You are often the first face they see, the first touch of the day and the first person to set the tone for the morning. The venue we had chosen, Cavo Ventus, was absolutely stunning. A private villa, away from the hustle and bustle of the main towns and with an iconic view of the volcano. Everything was perfect, but the lighting inside the suites was very dark and I couldn’t really see what I was doing. Every brides nightmare! I ended up doing my full makeup in a compact mirror by the window and just prayed that everything looked ok. Honestly, the combination of nerves, emotions and then having to focus on making myself look beautiful was all a bit too much. Thank goodness, I was surrounded by makeup savvy sisters and friends who I knew wouldn’t let me walk out with a makeup line. 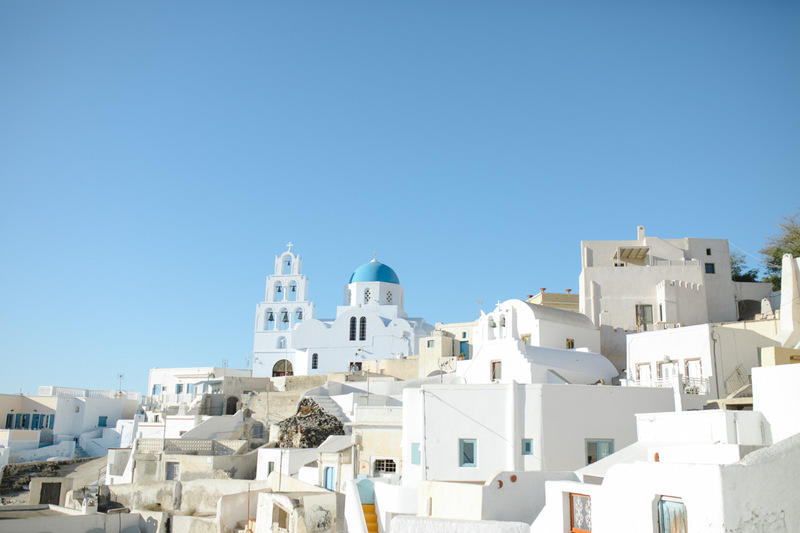 A year on, my time in Santorini was another experience. I soaked up the delicious Greek sun, got to know a more authentic side of the island, met locals who looked after me like I was family, ate way too many dolmades and discovered a 24 hour bakery… that was dangerous. Once I had the chance to relax and unwind from my busy urban life in Berlin, I got to work. 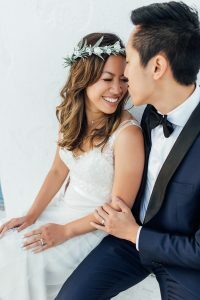 I was fortunate enough to work with a very talented photographer (and one of my favourites), Anna Roussos, who also captured our wedding day and had the honour of beautifying a few brides. Not only is the island itself so magical in its formation, the sunsets remind you of the magic of mother nature. The way the sun goes down behind a neighbouring island and lights up the sky, for a few moments you feel as if you are the only person on earth. The thing that makes the island so special is the light. It’s every photographer’s dream to work with the light, the way it reflects off the white walls creating the perfect studio lighting. And for me as an artist, to be able to see all the details of what I do clearly is a blessing and a curse. You really have to adapt the way you think about your looks because the light is so clear and transparent that if you don’t find the right balance, you can wash out your bride in a second. The minute she steps out into the light, all of your work can disappear. You need to find the balance between enough but not too much. Be careful with your highlighting so she doesn’t end up looking like one big reflector and depending on the wind factor, you have to think about styles that will be able to hold through the heat and the wind. 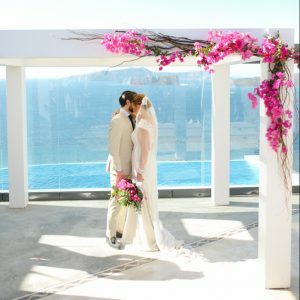 Santorini is one of the top 10 Wedding Destinations in the world, and after being a Santorini bride myself, I know exactly why it is so highly rated. I had so much fun meeting with other talented artists and wedding planners on the island and I can’t wait to go back! I am now taking bookings for 2018 so brides to be, I would love to hear from you.